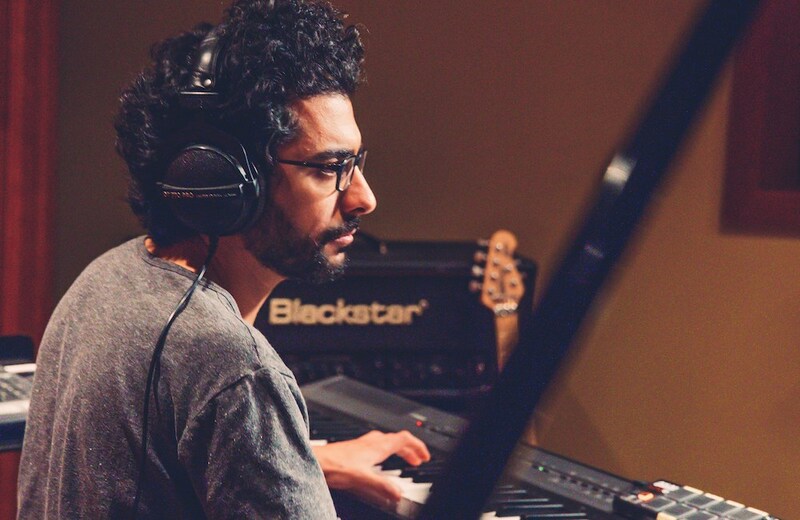 Once again, we caught up with Tarek Yamani, jazz/Afro-Tarab pianist from Beirut, who recently released his latest album, 'Peninsular'. This time he digged deep into the musical history of the Arabian peninsula. Indeed: pop music from Gulf artists is extremely popular in the Arab world and beyond. Singers like Hussain al Jasmi and Nabil Shoel – from the UAE and Kuwait respectively –, Saudi Arabia’s Mohammed Abdu and Abdul Majeed Abdullah, as well as Dubai’s Ahlam are household names among the musical Arab street. Al Jasmi’s 2014 hit “Boshret Kheir” has garnered 231 million views on YouTube as of May 2017. In 2014 Tarek Yamani released ‘Lisan al Tarab’, an album where he musically discussed tunes from the Levant and most particularly the Tarab. ‘Lisan al Tarab’ was “jazz with a Lebanese accent” (as I described it in my article for Your Middle East at the time) and it got Tarek much recognition throughout the jazz world. With his last name being Yamani, which means ‘from Yemen’, it was only a matter of time until Tarek Yamani would start to delve deeper into the musical treasures of the Arabian Peninsula and the Gulf region. Tarek has always been an explorer, asking himself questions like “what is the secret of groove?” or “how do we react to ancient African rhythmical patterns, and why?”. He is also the author of “Duple vs. Triple: 56 exercises to mastering polyrhythms in jazz and other groove-based music”, a book that is available via his website. In 2016 Tarek Yamani was commissioned by the Abu Dhabi Festival to compose music that would incorporate elements from Gulf music and then perform it at the festival in the spring of 2017. The result is ‘Peninsular’. The project took more than a year of formal research until Tarek and his trio, consisting of fellow Lebanese Elie Afif on bass and Khaled Yassine on drums, were ready to put the music on tape and bring it to the stage. The result is stunning. ‘Peninsular’ was recorded like a pop/rock record and not like a jazz album. Because much of the music from the Gulf is about beats, the basic rhythm tracks were laid down first, with Emirati percussionist Wahid Mubarak adding some extra juice. Afterwards, Tarek would sit at his piano and listen to the rhythmic patterns over and over again until he got inspired enough to play his piano lines to the percussive backbone. How in the world then did the swing enter the music of the Arabian Peninsula? Well, the Gulf region was a melting pot of all kinds long before their skyscrapers rose to heaven and their airports became the hubs of international traveling. There were no fully air-conditioned football stadiums at that time waiting to host the world in 2022. However, much like today, there were people from foreign places who had come to the Gulf to offer cheap labor and to fuel the economy. Today these people are called migrant workers; when the swing first came to the Gulf they were called something different. Swing is what we feel when listening to music with African roots. Unfortunately the African roots reached the Arabian Peninsula through millions of African slaves who were captured somewhere on the black continent and dealt to Oman, Yemen and other countries on the peninsula. Many of the African slaves were from East Africa but Arab slave traders went as far as the Saharan desert to prey their stock, introducing the Muslim faith to this impoverished region at the same time. Meanwhile, back home, the Africanization of Bedouin music took place. One of the centerpieces of the new Tarek Yamani album is ‘Gate of Tears’, named after Bab al-Mandeb, the strait between the Horn of Africa and Yemen, which literally means ‘door of mourning’. Probably the strait got its name because of the symbolism of this route with the slavery trade. When I first listened to this track, I spontaneously noted “blues-like feeling”, “heavy percussion” and “dramatic ending”. Other songs on ‘Peninsular’ are more joyous, ‘Hala Land’ for instance, where a latin groove – Rumba! – meets a rhythm that originated in Yemen. When US president Donald Trump recently paid a visit to Saudi Arabia, awkwardly swaying to a traditional sword dance before the state dinner, he visited cultural cousins of sorts. Khaleeji music and African-American music share the same DNA; they just travelled in opposite directions, one taking the transatlantic route, the other crossing the Red Sea. An American gentleman from Michigan felt the same when he listened to a track from Tarek’s new record on a local community radio. What better way to describe ‘Peninsular’? Of course, one is rather curious to know where Professor Yamani will dig next?